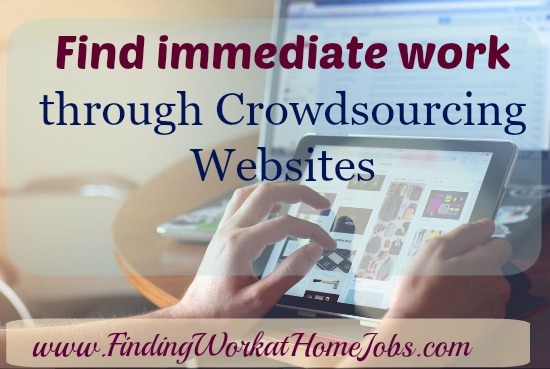 Crowdsourcing can be a lifesaver for businesses who have a desperate need to get a lot of work done and home-based entrepenuers who need to make some extra money. Crowdsourcing basically takes a big project and breaks it down into little manageable parts that a number of people can do. It makes it so that businesses can get their projects taken care of in a timely manner and people like you and me can make money anytime, anywhere. One of the biggest complaints I see about working for these websites is that the pay is very low. No doubt about it, that can be the case, especially when you're first starting out. I've looked at sites like Amazon Mechanical Turk, Clickworker and even TranscribeMe and have thought that it isn't worth it. But sometimes I'm tempted to think it's just a mindset issue. Speaking strictly for myself, I find that I rarely like to work in a fast, intense, focused way for the entirety of my work shifts. Sometimes there will be busy periods, when I work fast and furiously, but I also have downtime, when things are a bit slower. My point is to not get discouraged about the pay at these sites like the ones I will list below. Many offer higher paying gigs once you have been with them for a while. And the fact is, that sites like these can be a fabulous way for anyone to make extra money. They are open 24 hours a day; they always seem to have work available. You can log in when you feel like it and when it best fits in with what you have going on in your life at the moment. I have so many people contact me and tell me they need something flexible, something that doesn't require being on the phone, that doesn't require a ton of experience, that doesn't require a background check, an interview, a resume, and that is available to start TODAY. Folks this it. Working for crowdsourcing sites satisfies all of the above.